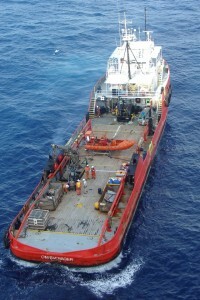 It is common for U.S maritime employees to work in foreign waters. The time away from home, travel distance, and complexity of the job often result in attractive wage and bonus packages. Like maritime work in the U.S, the job can be dangerous and injuries happen frequently. What happens when U.S. maritime workers are injured in foreign waters? The dangers of maritime work may be enhanced overseas. Not all countries demand the same maritime crew training and workplace safety requirements found in the United States. Maritime workers injured in foreign waters and searching for compensation may face a maze of red tape and hurdles in jurisdiction. The Texas maritime law firm of Richard J. Plezia & Associates can simplify the foreign water maritime claims process and demand compensation for your damages. The dangers of maritime work may be enhanced overseas. Not all countries demand the same maritime crew training and workplace safety requirements found in the United States. Maritime workers injured in foreign waters and searching for compensation may face a maze of red tape and hurdles in jurisdiction. The Texas maritime law firm of Richard J. Plezia & Associates can simplify the foreign water maritime claims process, and demand compensation for your damages. Like each injury, the jurisdiction of each case is unique. When a U.S maritime worker is injured in foreign waters, an experienced attorney can make all the difference. Analyzing the details of the case and determining the best strategy for obtaining compensation is the job of Richard J. Plezia & Associates – the Texas Maritime law firm with years of experience in foreign water maritime claims. If you have been injured in foreign waters while working in a maritime occupation, the Houston maritime attorneys at Richard J. Plezia & Associates can help. Any injury that occurs on a vessel in navigation may qualify you for compensation. Our attorneys are ready to take your call and help you recover financially. Do I Need a Maritime Attorney?